The Pony Club is the only organisation to offer its Members the opportunity to take part, and compete in, up to nine different disciplines. These include dressage, endurance, eventing, mounted games, polo, polocrosse, pony racing, show jumping and tetrathlon. At City of Derry Equestrian Centre we provide ponies for all our riders, which can be hired out each time you visit us. A brief overview is provided of the main Pony Club disciplines that we offer at the centre. 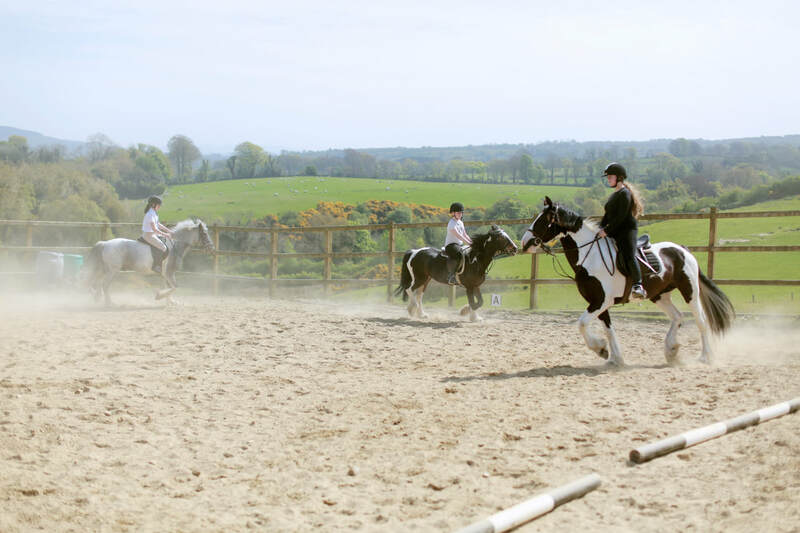 ​Dressage is an integral part of our weekly rallies at City of Derry Equestrian Centre and is a great way to improve communication between ponies and riders. Eventing involves three phases of competition: dressage, show jumping and cross country. The dressage test is ridden first, and requires pony and rider to complete a specific set of movements, usually in walk, trot and canter. Next is a show jumping round over a course of colourful jumps which can be knocked down, followed by the longer cross country course of solid jumps which cannot be knocked down. The cross country course will usually cover several fields and will involve going up and downhill. Our efficiency tests, camps and workshops help members to develop the skills necessary to compete at an eventing competition at City of Derry Equestrian Centre. ​If you like gymkhana games then you and your pony will love our mounted games, which are great fun for riders of all abilities. 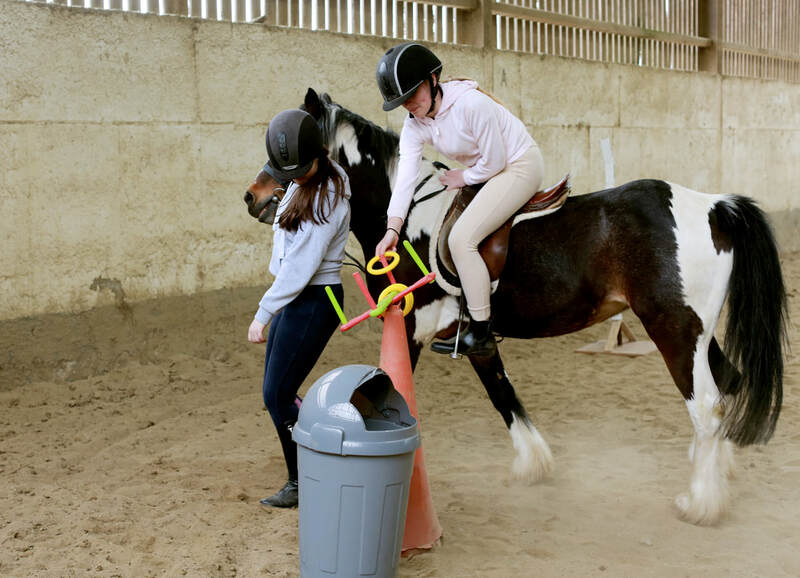 A great team activity, mounted games help young and novice riders improve their control, confidence and balance as they learn the skills of a variety of relay races with various props. This discipline is a great confidence-builder and also develops interpersonal skills and teamwork. Teams take part in friendly competitions throughout the year at City of Derry Equestrian Centre and we are always open to suggestions of new games that we can play. 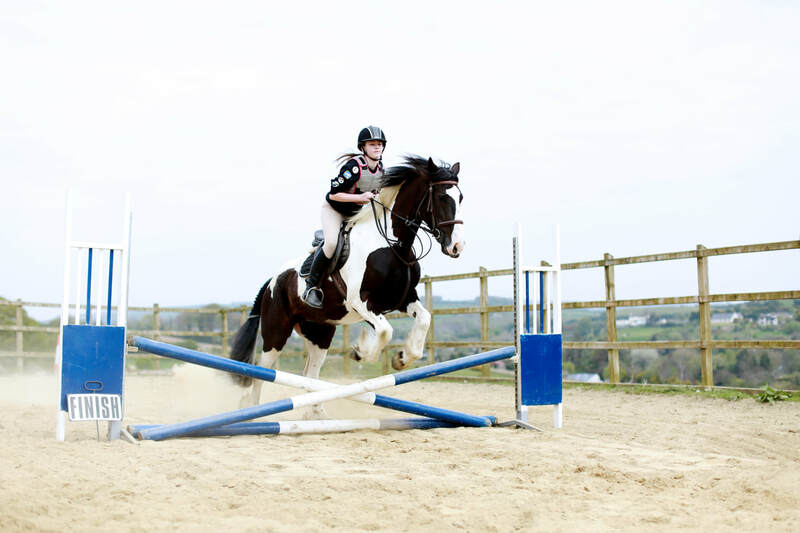 Show jumping, like dressage, is an integral part of our weekly rallies at City of Derry Equestrian Centre, and encourages a high standard of riding. 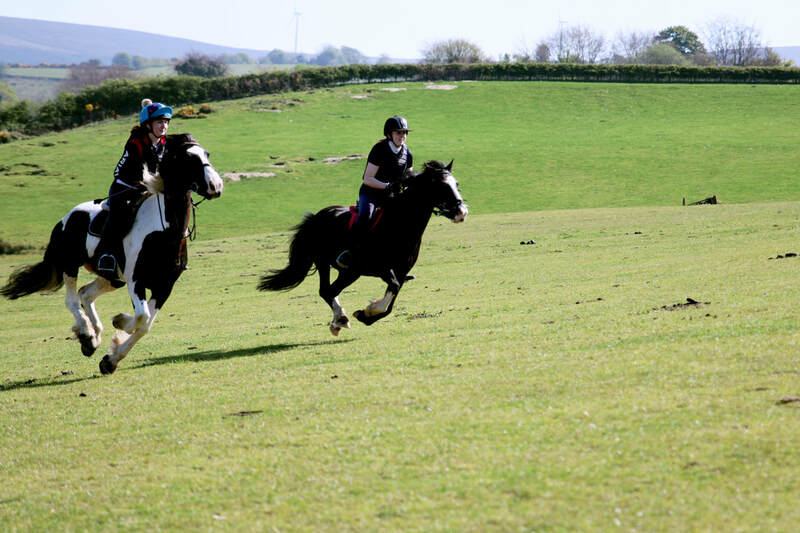 It can take place both indoors and outdoors and is enjoyed all year round by our horses, ponies and riders. For show jumping competitions, courses include coloured fences which can be easily knocked down if hit. Competitors receive faults if they knock a fence down,stop at a fence (refuse) or run around a fence (run out). A fault-free rider may be eligible for a ‘jump off’ when the fastest round with the least faults over a shorter course will be the winner. Competitions are held at camps and oneday events at City of Derry Equestrian Centre. For the full range of Badges available through our Pony Club just download our leaflet. The Pony Club is a Registered Charity, No: 1050146. 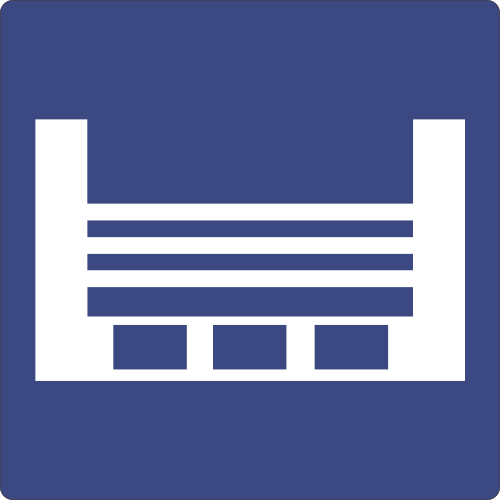 Incorporates as a Company Limited By Guarantee Registered in England No: 3072475.